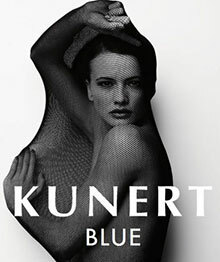 UNDER the label Kunert Blue, German hosiery specialist Kunert is launching a new range of eco-products in January 2017. The new hosiery is being produced with yarns recycled by Econyl in Italy from nylon waste and fishing nets recovered from the ocean. The line features 15 and 30 Denier sheer as well as fishnet pattern stockings The range will retail at prices around 20 per cent higher than the brand’s usual price brackets. Kunert Marketing Manager Christoph Schramme said he could imagine a large part of the company’s output being produced from recycled yarns in the future. It is highly probable that consumers prepared to pay for quality branded products will be sufficiently eco-aware to accept the higher prices.